Musings of a Museum Fanatic: I love the Weekend! This weekend was quite a fabulous one. I spent a better part of the day just hanging out (I don't work Fridays and seem to get quite lazy haha) and trying to figure out what to wear that evening. It had been a while (try 1.5 months!) since I had actually gone out so I wanted to look super cute. In honor of celebrating Stephanie's birthday Friday night (head over to her blog to read more) I decided to choose three random photos that totally describe the night. 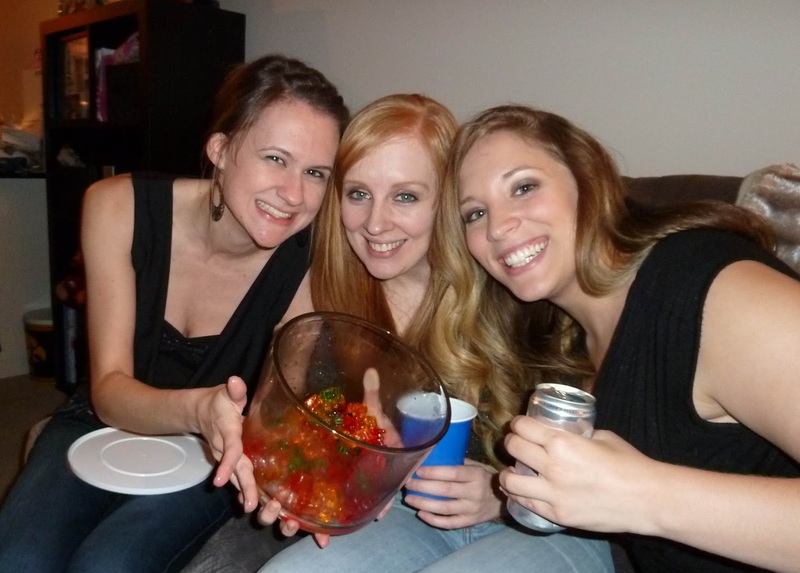 Jackie, Tara & Stephanie enjoying the vodka gummi bears. Also I'd like to plug how awesome the Pampered Chef Trifle Bowl was for that but I don't think I can do that officially haha. Last but not least Ryan grinding up on his girlfriend Kelli. I'm pretty sure the photo says it all haha. Saturday was very chill as well. Got more condo stuff done and hung out by myself Saturday night since Kevin had a show. And I quote my facebook status "Little Taco Bell, Mikes Hard Pink Lemonade, "New Years Eve" followed by "Magic Mike" and making a bunch of cookies to decorate with the Stamatopoulos' & the Giles tomorrow : )"
As you can already tell what I did Sunday. My sister in law Bethany's sister Thais and her family (got all that?) 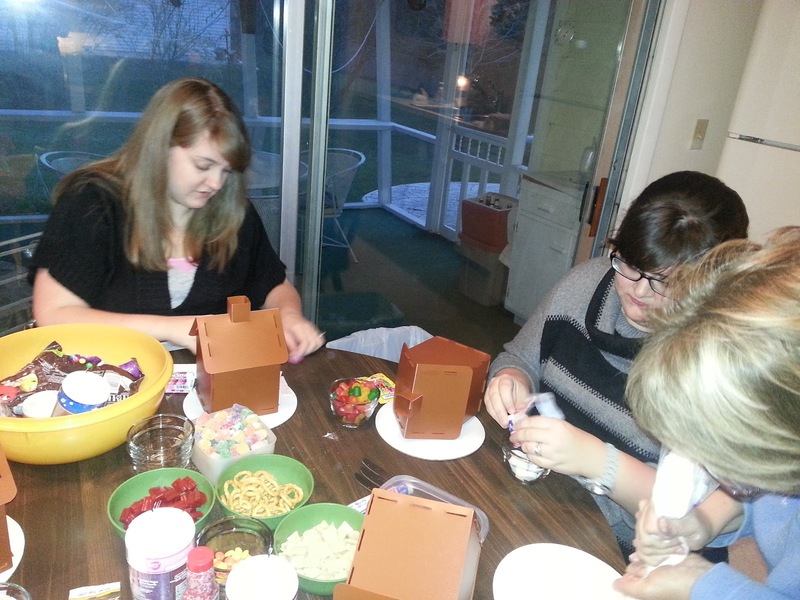 are in from Florida for the week and we got together to decorate gingerbread houses and cookies. Great fun was had by all. 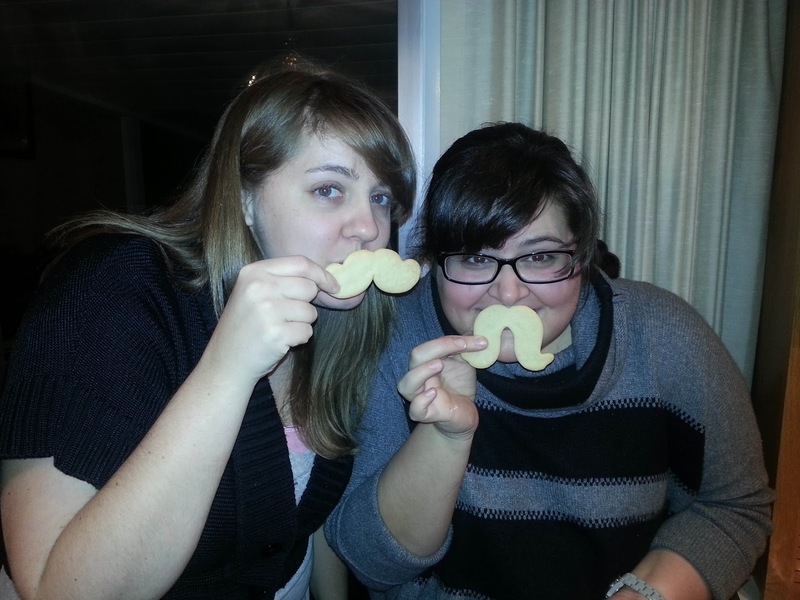 Enjoying the mustache cookies I made with the cutters Stephanie gave me for an early Christmas present. 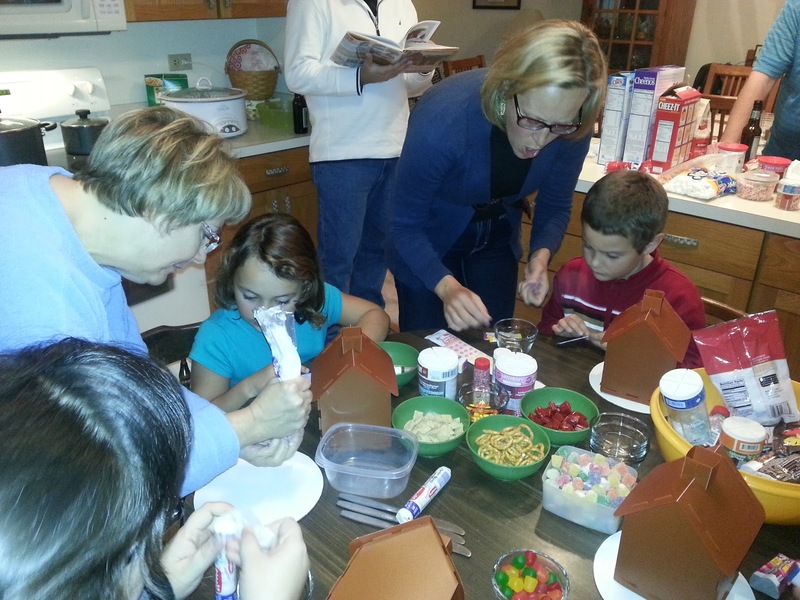 Decorating Gingerbread houses is the best! This Saturday I do my big cookie & candy day. 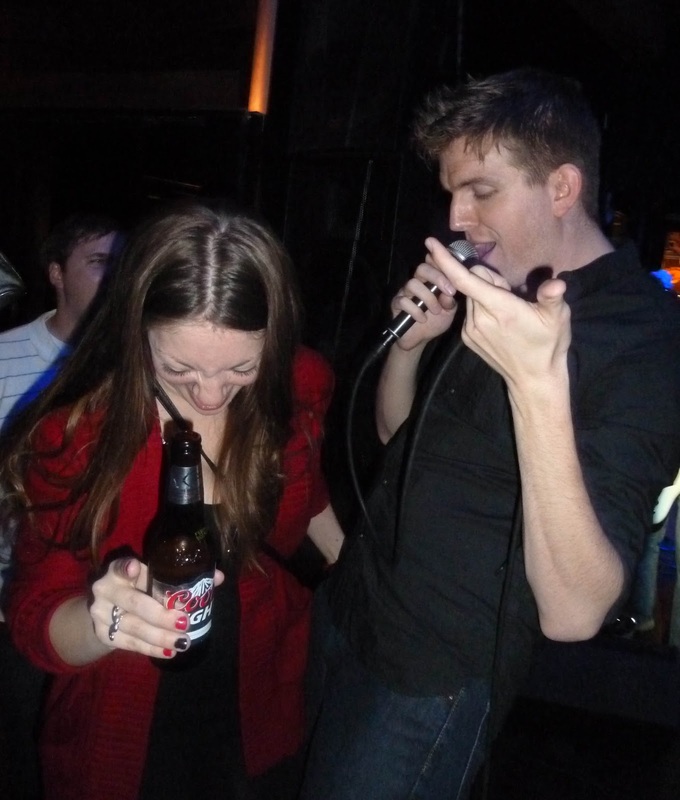 HA that photo of Tara and I, and poor Pete just like, what have I gotten myself into?! So fun. And that bowl was perfect for the bears. 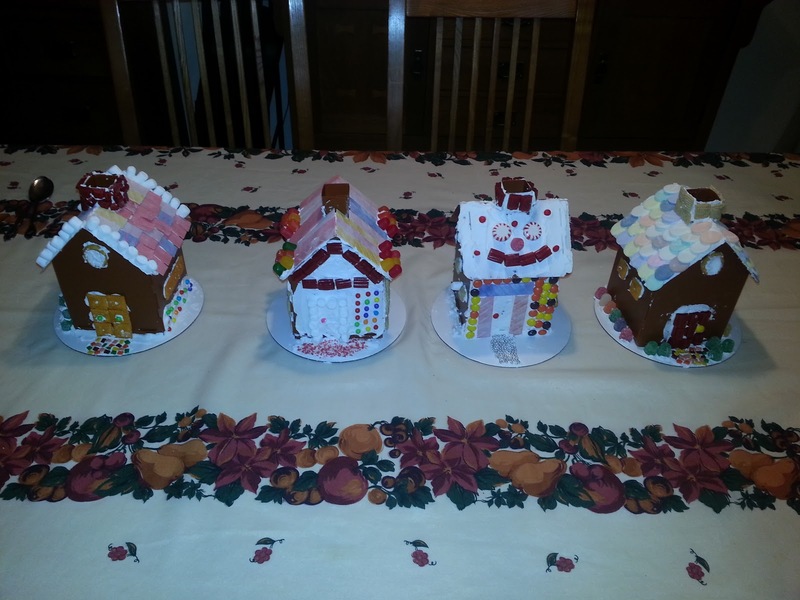 The houses turned out great! 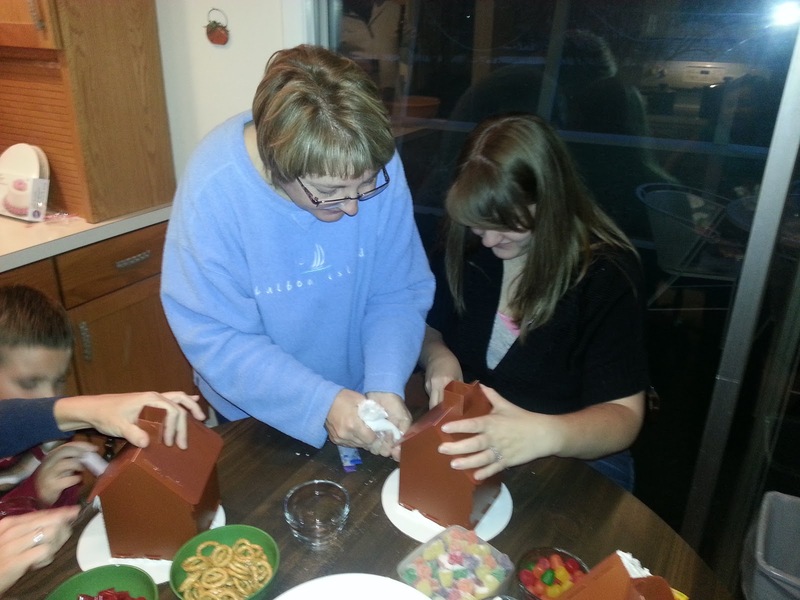 Never too old to have momma help you :) Glad the cookie cutters were a success!